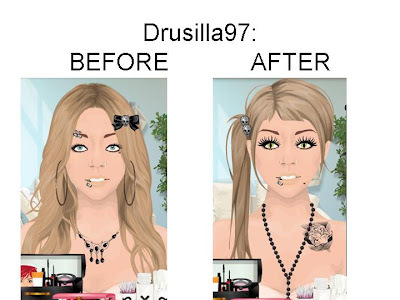 I'm drusilla97,thanks,my me doll is so pretty,thanks,tanks thanks!! You are A super girl Glittery! !